How many calories in eggs? 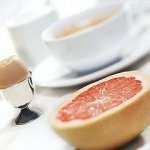 The egg calories for the different serving sizes and the health benefits of eggs to help you lose weight and eat a healthy diet are shown below. 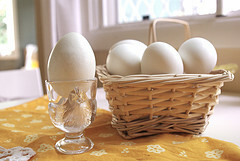 Eggs and weight loss: An egg has excellent nutritional value and can assist you in losing weight. It contains 9 essential amino acids and 6 grams of high quality protein. An egg yolk contains 5 grams of “good fat” and only 1.5 grams of that is saturated fat. It is the only source of natural vitamin D. There are only 86 calories in an egg which makes it a great food for a diet. 17 calories in egg whites. 61 calories in egg yolk. Brain, nervous system regulation and prevention of blood clots, stroke, and heart attacks: Eggs are a good source of choline. One egg yolk contains about 300 micrograms of choline. Choline is an important nutrient that converts homocysteine (a molecule responsible for damaging blood vessels) into other safe molecules. In August 2016, the European Food Safety Authority published guidelines for the dietary values for Choline. This nutrient is especially useful for pregnant women. 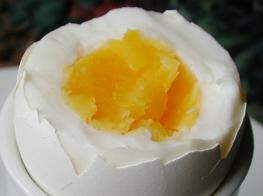 Prevention of cataract and macular degeneration: Eggs are the best source of lutein. Lutein is a carotenoid which helps to prevent age-related cataract and macular degeneration. Eggs make your hair grow faster and nails stronger: Due to high sulphur content and minerals and vitamins you can grow longer hair and nails. Eggs improve cholesterol: New research reveals that moderate egg consumption (2 eggs a day) does not affect your cholesterol level and in fact, can even improve it. Quick and easy breakfast frittata, which can be ready in just 20 min. The recipe promotes healthy weight and is suitable for diabetics. It is low in carbs, calories (191 kcal), GI and sodium. This omelette recipe contains 237 calories, is low in carbs (5g of net carbs) and high in protein. 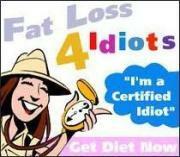 It is suitable for a low GI diet, diabetes appropriate and gluten free. The recipe contains only 200 calories and is suitable for a low carb diet (3g of net carbs). Also, it is high in calcium, fiber, protein, vitamin A, vitamin C, folate, iron, etc. This omelette with shrimps contains 254 calories, is very low in carbohydrates (1g of net carbs), low GI, sodium, gluten free and a good source of phosphorus. The recipe provides 143 kcal, 3g of net carbs, is high in protein, low GI, low sodium and high in riboflavin and is suitable for a vegetarian and gluten free diet. This egg white omelette is vey low in calories, carbohydrates, saturated fat, sodium and cholesterol. 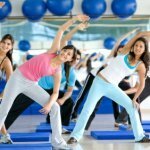 It promotes healthy weight and a healthy heart. The recipe takes only 15 min. This absolutely delicious cream cheese, smoked salmon and potato frittata recipe is so easy to cook, filling and tasty that you will want to cook it again and again. The recipe in a good source of potassium, copper, vitamins B-12, B-6 and C.
This healthy courgette frittata is very low in cholesterol, fat, sodium, calories and carbohydrates. There are only 107 kcal and 4g of net carbs. The recipe is approriate for a diabetic, low GI, low fat high protein and low carb high protein diet. Hard boiled eggs are delicious in our tuna nicoise salad. This salad recipe provides 254 calories and 6g of net carbs per one serving. It is low in calories, carbs and high in protein, niacin, phosphorus, vitamins A, B-12, B-6, and C.
This flour and sugar free cake needs 50 min in total to prepare and bake. One slice provides 251 calories. The recipe is suitable for diabetics and vegetarians. It is low in carbs, calories, GI and is high in fiber.